The IMNIS Expert Advisory Panel was formed in April 2017 to provide expert strategic advice to the IMNIS Executive Director in supporting the successful implementation and evaluation of the national roll-out of the IMNIS program. Members will be invited to serve as needed based on their skills and expertise and will adhere to the Academy’s policies on gender equity and diversity. Ronnie Wood is an accomplished educator and corporate professional with a career in education and training spanning four decades. With a Bachelor of Economics (University of Sydney) and a Diploma of Education (Sydney Teacher’s College), Ronnie taught mathematics at public and private high schools in Australia, then moved into the Corporate Training and Education sector. Ronnie has expertise in demonstrating platforms, customizing software and training clients, and she has been entirely responsible for sales and support Australia-wide. Supporting high level clients such as Telstra, PwC and Toyota, as well as multiple universities throughout Victoria, Ronnie has worked closely with senior management to address the training and development of their staff in a broad range of technical and professional skills. Ronnie has significant experience in recruitment and project management, has been responsible for co-ordinating staff training across organizations at a national level. In the last decade, she has held high level roles in the not-for-profit sector and consulted as a mentor and guide to individuals in their career progression. Ronnie has transferred her skills from education and teaching to her corporate roles, and is passionate in supporting colleagues and mentoring junior staff. She derives great pleasure and satisfaction from continuing to mentor and support young people in her professional and personal networks. Ronnie is a co-founder of IMNIS and was appointed Chair of the IMNIS Expert Advisory Panel in 2017. Professor Paul Wood AO FTSE is a senior industry executive with over 30 years experience. He obtained his PhD from the Australian National University. At CSIRO, he was Leader of the TB Diagnostic and Vaccine Development program, where he developed the platform TB diagnostic technology now successfully commercialised by CSL and the Australian company, Cellestis. Paul received a number of awards for this research including the CSIRO medal, ASM Diagnostic award and in 2013, The Clunies Ross award. Paul was Deputy-Director of the CRC for Vaccine Technology from 1993-2000 and has published over 100 scientific papers. In 1997, he became Vice President, Global Research and Development in Animal Health at CSL, and in 2004 joined Pfizer AH as Senior Director, A/NZ Biologicals R&D. He became Executive Director, Global Discovery, Pfizer AH, Kalamazoo, Michigan USA in 2008 where he led the Global Discovery team for pharmaceutical and biological products. Paul returned to Australia in 2012 and established his own consultancy and accepted an Adjunct Professor position at Monash University. He was Director of a start-up AH company Nexvet Biopharma and is a founding director of IMNIS. In 2015 he was elected a Fellow of the Australian Academy of Technology & Engineering. He is on the Board of Women in STEMM Australia and the Global Alliance for Livestock Veterinary Medicines as well as the Chair of AusBiotech’s Ag and Foodtech Committee. In 2016 he was elected to the Board of Dairy Australia and joined the Scientific Advisory Board for AACo. He was awarded the Officer of the Order of Australia (AO) in 2018. Paul is also a consultant to the Agriculture program at the Bill and Melinda Gates Foundation. Paul is a co-founder of IMNIS and was appointed to the IMNIS Expert Advisory Panel in 2017. Dr Tony Radford AO FTSE is a senior biotech executive with over 30 years experience in pharmaceuticals and diagnostics. He obtained a PhD from La Trobe University, and then joined CSIRO for 8 years. As a member of the CSIRO research team that invented the QuantiFERON method for Cellular Immune based diagnostics, he received the CSIRO medal of Research Achievement. In 1993 he joined the pharma development company AMRAD, later acquired by CSL, initially managing external research projects, then as head of development managing both pre-clinical and clinical research teams. In 2000, he co-founded Cellestis Limited. Cellestis listed on the ASX, and developed more accurate and user-friendly tests that made QuantiFERON the gold standard worldwide for diagnosis of tuberculosis infection. Cellestis trialed these products extensively, and registered and sold products in every major world market. The company had offices in the USA, Germany, and Japan, with staff in many more countries. Dr Radford was Cellestis CEO from founding until its acquisition by QIAGEN NV in 2011 for $400m. For his contributions to tuberculosis diagnosis and enterprise he has received the Clunies-Ross Award for application of technology, and is a Distinguished Alumni of La Trobe University. He was awarded the Officer of the Order of Australia (AO) in 2016. He is a founding director of the IMNIS initiative, and director of the Radford Foundation, a philanthropic trust. Dr Radford is a non-executive director of Nucleus Networks (2013- ) and Genetic Signatures (2015-) and an active adviser and investor in many other biotech/medtech companies. Dr Radford is a co-founder of IMNIS and was appointed to the IMNIS Expert Advisory Panel in 2017. Dr Jenny Petering is one of the leading patent attorneys in the Australian Biotechnology space. She has extensive experience in managing international patent portfolios, including strategic planning, due diligence, infringement and patentability advice, and coordinating opposition proceedings. Jenny is regularly singled out by industry reviews of the world’s leading patent prosecutors, including Intellectual Asset Management, both for her exceptional technical ability and her commitment to clients. Currently Of Counsel with FB Rice, Jenny was a partner for 15 years, and is a leading advocate for Australian technological sciences. She is actively involved in leading industry groups, including Scale Angels which supports early stage companies though funding, mentoring, and connecting entrepreneurs to prospective clients and strategic partners. Jenny led due diligence for the Angel investors into a drug discovery company, Cognition Therapeutics, which resulted in an investment by Scale Angels. She maintains an active involvement with Cognition Therapeutics which has commenced a clinical trial program in Australia for treatment of Alzheimer disease. Jenny also serves on the SMaRT Panel where she will be an advisor to the Victorian Department of Health and Human Services. 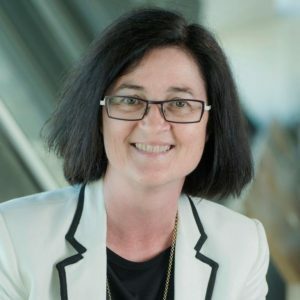 Jenny is a regular advisor and contributor working with Ausbiotech on several best practices and industry guides, and a Senior Fellow and tutor in the Melbourne Law Masters at Melbourne University. 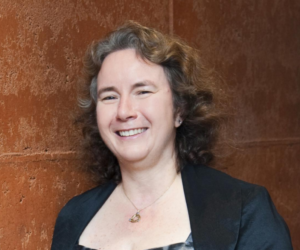 Jenny is also a co-founder of IMNIS and was appointed to the IMNIS Expert Advisory Panel in 2017. 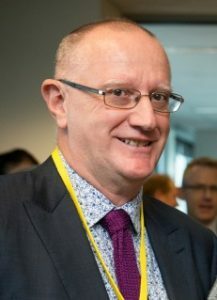 Professor Mike Miller AO FTSE is a Fellow of the Academy and is co-chair of the Academy’s Digital Futures Working Group. 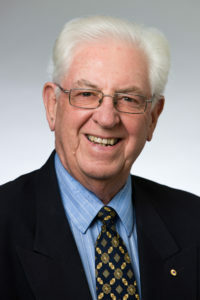 Professor Miller spent 9 years with Telecom Australia and 35 years in the University of South Australia where he was Professor of Telecommunications and Foundation Director of the Institute for Telecommunications Research. His research interests were Coding Theory, Satellite Mobile Communications, and Cellular Mobile Systems. 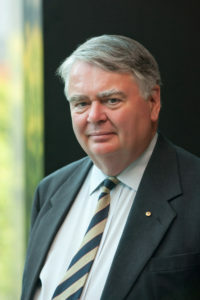 He was Australian Professional Engineer of the Year in 1995, in 2008 Professor Miller was awarded an AO (Officer of the Order of Australia) for leadership in the innovation and development of future-generation telecommunications technology, and in 2015 he was inducted into the SA Engineering Hall of Fame. Professor Miller is a co-founder of IMNIS and was appointed to the IMNIS Expert Advisory Panel in 2017. Denise Goldsworthy FTSE is an experienced non-executive director and advisor on research, technology and innovation. Proven experience in manufacturing (steel), mining (iron ore, industrial minerals) and technology / innovation sectors. Recognised as a master of constructive questioning, she utilises expertise in business engagement and system design to achieve reliable outcomes. Denise is currently Chairman of ChemCentre Western Australia (WA); a Non-Executive Director for EFIC; a member of Council at Edith Cowan University; a member of the Commercialisation advisory Board for Curtin University; Academy Fellow; Chair of the Navy Clearance Diver’s Trust; and a judge for the Prime Minister’s National Science awards. Among Denise’s honours is being named the 2010 Telstra Australian Business Woman of the Year. 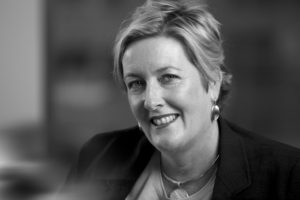 She is also a member of Chief Executive Women Australia (CEW) and was inducted into the WA Women’s Hall of Fame in 2011. Denise was appointed to the IMNIS Expert Advisory Panel in 2017. Peter Laver AM FTSE is Senior Advisor, Fellow and former Vice President of the Academy. His professional career was spent with BHP (now BHPBilliton) in a range of senior management positions in steel, minerals, transport, research and external affairs. Other past positions include Chairman – Australian Building Codes Board, Chair – Victorian Learning and Employment Skills Commission, Chairman – Energy Research and Development Corporation, Chairman – CSIRO Energy Sectoral Advisory Committee, Chairman – Ceramic Fuel Cells Limited, Chancellor – Victoria University of Technology, Deputy Chair Australian Science and Technology Council (ASTEC), and Chair – National Board of Employment, Education and Training (NBEET). Peter is a Fellow of the Academy, an Honorary Fellow with Engineers Australia, a Fellow of the Australasian Institute of Mining and Metallurgy, and has been recognised with prestigious awards such as the Centennial Medal and Member, Order of Australia (AM). Peter is a co-founder of IMNIS and was appointed to the IMNIS Expert Advisory Panel in 2017. 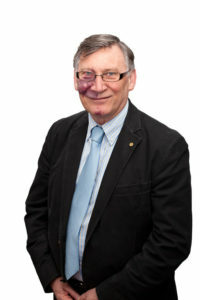 Professor Pat Buckley is the Dean of Graduate Studies at the University of South Australia. She received her Bachelor and PhD degrees in Biochemistry from the National University of Ireland, Galway. Her earlier research career focused on how early postnatal experience and childcare practices affect the developing physiology of infants. She has also led nationally funded research into improving science education in universities. More recently, Pat has been Director of the Sansom Institute for Medical Research, and Dean Research & Research Education in the Division of Health Sciences at UniSA. She also leads researcher development across the university, and works closely with staff and students to enhance their research capacity. 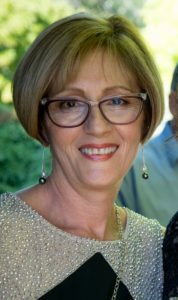 Pat was appointed to the IMNIS Expert Advisory Panel in 2017. 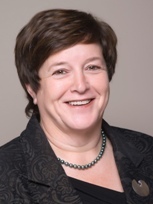 Dr Marguerite Evans-Galea (Executive Director, IMNIS) is the inaugural Executive Director of IMNIS with the Academy. With over 15 years of experience leading translational medical research programs at world-leading organisations in the United States and Australia, Dr Evans-Galea’s research and leadership has been internationally recognised with numerous awards. Dr Evans-Galea has chaired several executive committees and served with advisory groups in state and federal governments. Strongly committed to empowering early-mid career researchers, Dr Evans-Galea regularly mentors students, postdoctoral fellows and faculty. She has developed graduate mentoring programs in the US, was founding chair of the EMCR Forum with the Australian Academy of Science and chairs the Australian Science and Innovation Forum with the Academy. 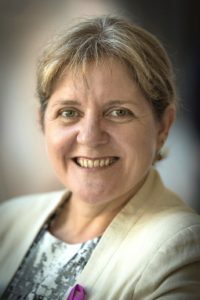 An internationally recognised advocate for women in STEMM, Dr Evans-Galea currently serves on the Science in Australia Gender Equity Expert Advisory Group and is co-founder and CEO of Women in STEMM Australia. Dr Evans-Galea has been recognised with an Australian Leadership Award and is an inductee and Ambassador of the Victorian Honour Roll of Women. Dr Margaret Hartley FTSE (Academy CEO) is Chief Executive Officer of the Academy and leads the implementation of policy and strategy for the Academy. Dr Hartley has been the Principal Scientific Advisor to the Australian Government Department of Health and Ageing and the Director of the Office of Chemical Safety. She led the Department’s human health risk assessment of pesticides and chemicals as well as regulatory policy and environmental health policy. She oversaw regulatory compliance activities for narcotics, controlled substances, and drugs in sports and advised the Commonwealth on chemical security issues. Dr Hartley is a respected national and international leader and regulatory scientist with broad experience in leading and managing Australia’s chemical regulatory policy framework, and developing and implementing related human health policy. She led international harmonisation efforts in risk assessment methodology via OECD and WHO programs and was Australia’s Industrial Chemical Regulator from 1997-2006. She led a significant program for regulation reform and implementation of best practice regulation including developing community, industry and government partnerships on chemicals safety issues. Dr Hartley previously held research and academic positions in Pharmacology and then Public Health and Epidemiology at Monash University and the Australian National University.